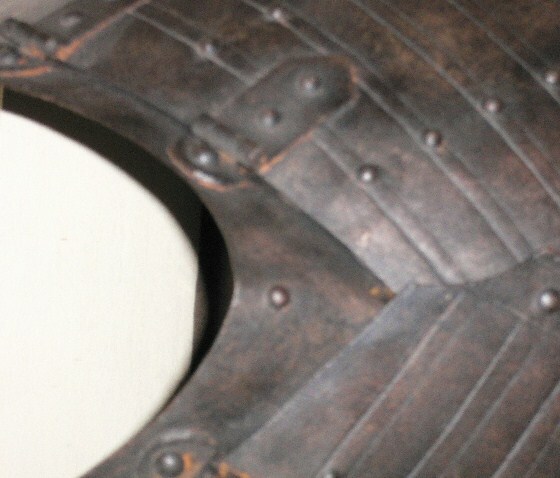 Forum Index > Historical Arms Talk > cromwellian armour, is it genuine? 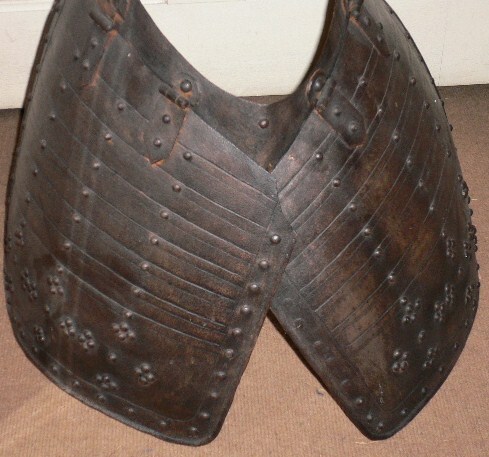 Posted: Fri 30 Nov, 2007 7:26 am Post subject: cromwellian armour, is it genuine? Cromwellian activity and they are quite heavy. I know they have got bent over the centuries ( if genuine ) but i dont want to chance bending them. 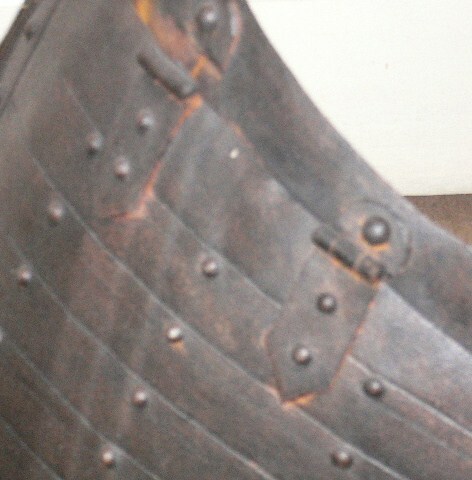 I have got most rust off and oiled them.If they are 'right' could you help with an idea of value please. They could be. It is hard to tell by pictures but they fit the decoration, design and make of the time. if anything it is just the tassets and lower breastplate lame. Was there anymore? Hi Steve, just based on the pics i'd say theres a fairly good chance this is legit. The hinges seem to be correct, the attention to detail is good with the false ridging to make the tassets look like they're made from multiple lames. 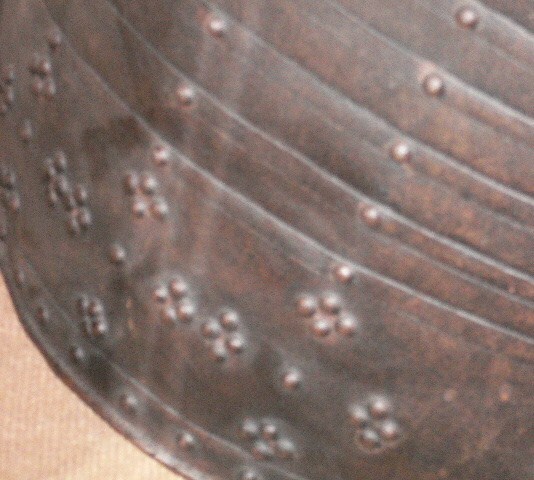 The riveted decoration indicates a some what nicer pikemans armour, perhaps for an officer of foote. Don't monkey around with trying to unbend them, theres a chance that any old forge welds that may be nearing delamination might break/crack so its better to leave it as is. Posted: Fri 30 Nov, 2007 9:02 am Post subject: anymore ? I wish there had been more, these were just a sorry sight at the back of a farm barn, they may well have sat there since the period as the farm dated back to the 1600's.Glad to hear you think they look right, they look great on our cottage wall anyway ! The tassets look good to me, but the fauld lame doesn't look right. The angle seems wrong, it looks like it's been bent a lot in the centre. 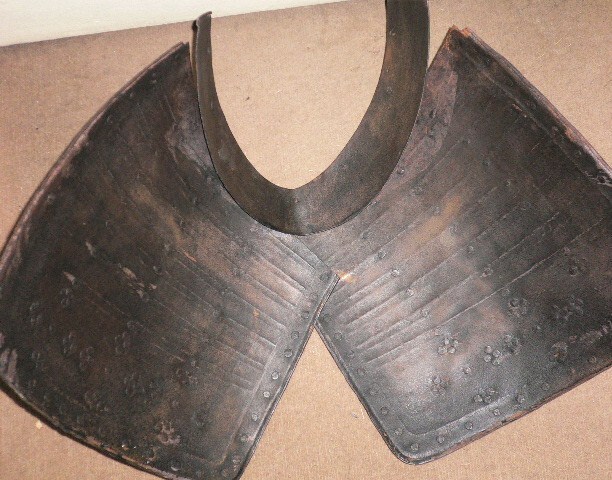 It doesn't look like it came off a contemporary breastplate.